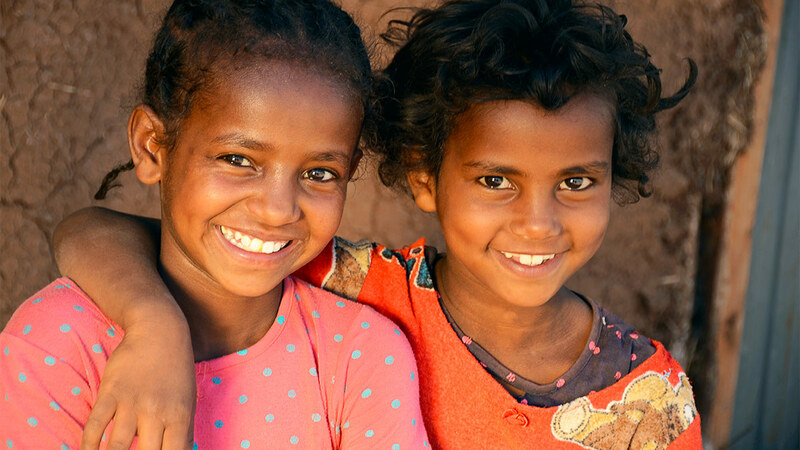 Compassion started working in Ethiopia in 1993. Today, there are over 110,000 children registered in our programs through 473 church partners. 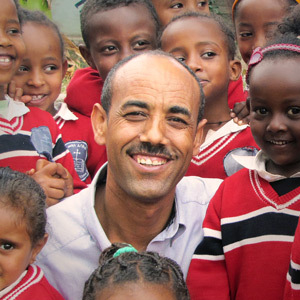 Dear Sponsor, I am Tsehaywota Taddesse; I have been the Country Director of Compassion Ethiopia since December 2008. I am married and a father of three children, two girls and a boy. One of my life’s favourite things is being with my children, playing with them, going out for a walk. It gives me life and reminds me of how honourable it is to serve children. Getting closer to children drives passion to serve them. I am Tsehaywota Taddesse; I have been the Country Director of Compassion Ethiopia since December 2008. I am married and a father of three children, two girls and a boy. One of my life’s favourite things is being with my children, playing with them, going out for a walk. It gives me life and reminds me of how honourable it is to serve children. Getting closer to children drives passion to serve them. 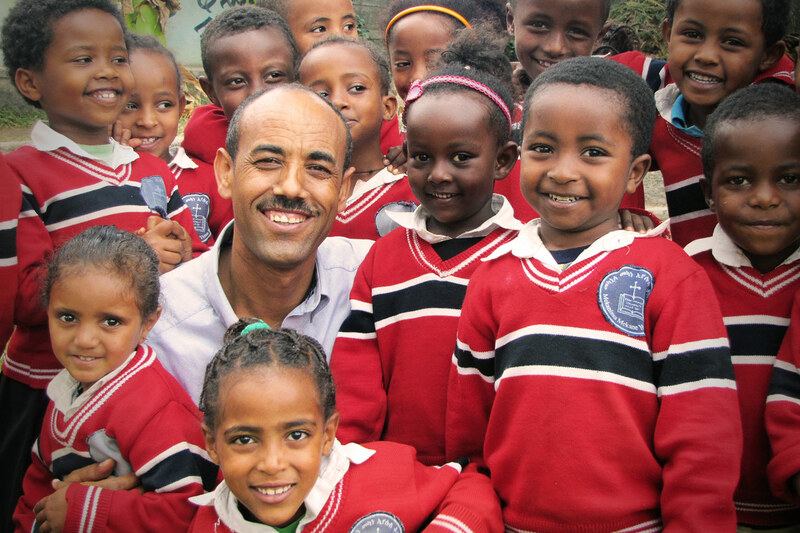 Compassion, in partnership with the Church, has been serving children of Ethiopia since 1993. There are more than 110,000 children in the program at 473 partner churches spread over the country. In my journey with Compassion, I have witnessed selfless engagement of many people (bedridden mothers, siblings, social workers, pastors, sponsors) to serve children who face lack, disease, loneliness, insecurity and despair because of the brutal realities of poverty. And I often ask, “What drives this deep and selfless engagement? What is the mystery with these individuals?” I can’t get any better justification other than pure LOVE. Love is the driver. Love is the mystery. Love-driven people are heroes and heroines of saving others. You are one of these individuals. Thank you for your love and inestimable contribution in sponsoring one of the little ones in Ethiopia. Through your support, Compassion in partnership with the church is facilitating holistic development of children in poverty. Church partners have opened their facilities and welcomed children of their communities. Children have the opportunity to enjoy a caring and conducive environment. They are helped to pursue their education and nurture their gifts. Children learn how much they are valued by God. Cumulatively, children have a better sense of their worth; they know God’s love, and they are in a journey of being and becoming fulfilled. They are connected to a caring and sustainable community of believers. Let me evidence this with the story of one girl. When her mom brought her for registration, she was a little, charming girl of about five years old. She got a sponsor, continued her education and enjoyed life until she faced her mother’s deteriorated health. This robbed of her hope and that of her younger brother. She ended up taking care of her bedridden mother and the young boy. She witnessed the long suffering and tragic death of her mother. Finally, she was alone with her brother. No security, no care. The small room they were living in suddenly appeared wide, causing fear. The nights turned to long times of worry about security. Thankfully, these kids were not left to continue that life of misery. The church stopped it through extending extra care. A social worker took the responsibility of providing psychological, physical and nutritional care. The children continued life holistically. 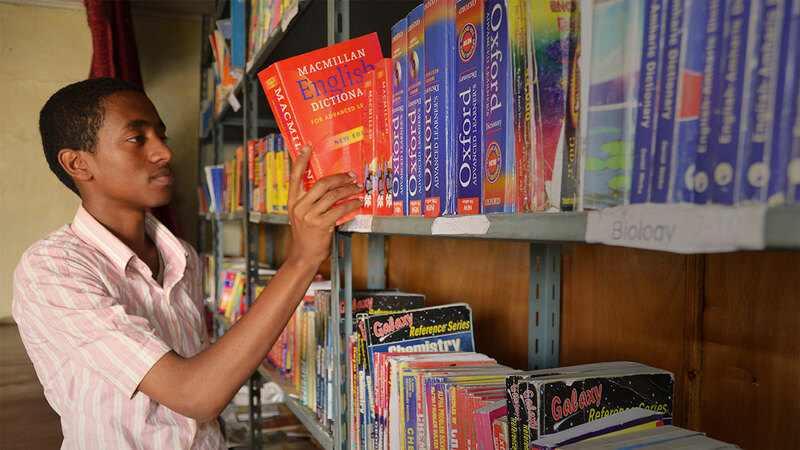 The girl got vocational training and is now employed and leading her own life. She actively participates in church and serves children. Her brother is in university, a top scorer engineering student. So many stories like this—you are a cause of such sweet stories! While I’m humbled by such stories, we still have many others who need love and care. They struggle with brutal realities of poverty: lack of income, family breakdown, abuse, child labour, street living, abnormal practices. It is our vision to reach such children as God enables us, while giving the best for every individual child in our program so that they can be the best of themselves. We continue supporting churches to become resourceful institutions for children. Please keep us in your prayers so that we can do this well amidst poverty, as well as in man-made and natural disasters like the drought we faced last year. Sponsorship is a soul-to-soul bond, nurtured by words of hope, care and encouragement exchanged through letters and prayers. Your letters represent you before your sponsored child. Children get a better meaning of sponsorship through letters. Children count and treasure your letters more than any other support rendered to them. I encourage you to continue strengthening the bond through writing letters and prayer for your sponsored child. I cannot thank you enough for making the world better through sponsoring one child at a time. Thank you. May God bless you immensely! When Fuad Mohammed began avoiding activities with his friends and dreading the walk home from school due to shortness of breath, he knew something wasn’t right. “It all felt strange,” says Fuad. “I was very active and energetic, but that slowly changed. I kept all the pain to myself and didn’t want to tell anyone. I thought it would somehow go away, and I didn’t want to worry my parents.” His father noticed his struggle when a walk that would normally take 30 minutes took two hours, leaving 15-year-old Fuad to catch his breath on the side of the road every five minutes. When Fuad Mohammed began avoiding activities with his friends and dreading the walk home from school due to shortness of breath, he knew something wasn’t right. His father noticed his struggle when a walk that would normally take 30 minutes took two hours, leaving 15-year-old Fuad to catch his breath on the side of the road every five minutes. When his parents took him to the hospital, Fuad was diagnosed with severe mitral stenosis –a narrowing of the mitral valve—and severe pulmonary hypertension. It was no wonder he had stopped attending school. Fuad began receiving treatment from various hospitals across Ethiopia. The Compassion program Fuad attends supported him through this time. The health worker attended every specialist appointment with him. When surgery with only a 10 per cent chance of survival was recommended in India, the Compassion staff counseled Fuad and his family, encouraging them to pursue the surgery. Compassion also covered the cost of the treatment through the Health Critical Need. The surgery was a success. Fuad recovered quickly and was able to fly back to Ethiopia two weeks after the surgery. Fuad returned to school and program activities. 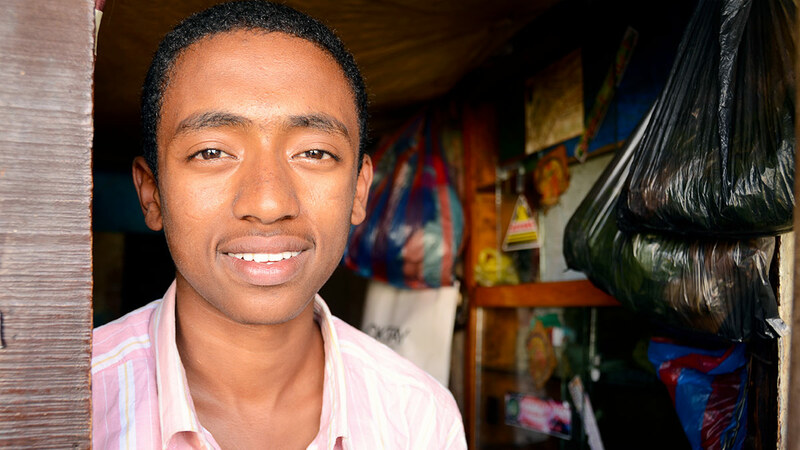 Despite his education being delayed by two years, Fuad is thriving and aspires to study medicine when he graduates from high school. What Do You Do When You Have Nowhere To Go? Abandoned by her husband, Almaz and her three small children found themselves homeless. With no prospects, they sought refuge in the only place available to them—a pig sty. Almaz’s hope for a better future for her children began dwindling.